In this article I will explain what the VO2 Max is, the protocol behind testing VO2 max for cycling, and why it’s an important physiological attribute to understand – even for non-professional athletes – for improved athletic performance. Lastly, I will compare the VO2 max I obtained (84.2) and make comparisons to professional cycling athletes who have won the Tour de France. VO2 Max is the total amount of oxygen we can breathe into the lungs and transport by the heart and cardiovascular system and use by the muscles to create ‘aerobic’ energy. Keep in mind that aerobic energy is not to be confused with ‘anaerobic’ energy. Anaerobic energy is a completely different energy source which does not even use oxygen (as intensity is too high). Our bodies simply don’t have the capacity to produce energy from oxygen in this state. Anaerobic is also the lactic acid producing system which will eventually shut down the muscle after a few minutes. There’s also the ATP-PC system, which is used during 6-10 second efforts at full gas, but that is generally not confused with the aerobic energy system. For me, this was the real eye opener. Initially I booked into to see Mets Performance Consulting here in Melbourne purely to understand what my VO2 was. Never in my imagination did I think the V02 max test was also going to be a definitive guide to how I should be training to optimise my inner engine. In the past, to work out my training zones, I’ve used the old school method of 220 beats minus your age to determine max heart rate and then my associated training zones. Then, as I got more advanced, I used the field based step test to determine my FTP (Functional Threshold Power) to better understand my training zones, which ultimately determines the best way to structure your overall program. Because a VO2 max test is directly measuring your body’s ability to take oxygen and convert it into energy within the working muscles, you not only get a more definitive understanding of your physical capabilities, you also get a lot more analytical information about how your body responds to exercise at different levels. For example, in the below graph you can see that while I have an ‘elite’ VO2 max, my efficiency at lower intensity is poor in comparison to when I am reaching higher intensity. Ideally I would start at an “FeO2” of around 15% and gradually rise. This is the efficiency of how I consume the oxygen that I’m breathing in. 21% of the air we breathe in is oxygen. The rest is made up of other components. This graph is fractionated expired (FE) oxygen which tells you what percentage of that 21% oxygen we breathe in we end up breathing out i.e. what have we absorbed? For more efficiency, I would want to be starting closer to 15% and rising without the peaks and troughs. The data also told me that I am currently only able to use 72% of my VO2 Max! The example that Luke McIlroy from Mets Performance articulated to me was that I’m working on ‘6 cylinders within my V8 engine’. So for me, I need to focus mostly on creating more efficiency within the engine I already have, as opposed to trying to create a bigger engine. While my engine is already in a reasonable state and I am best focusing on making it more efficient, what if I had a lower VO2 max that I wanted to increase? Research suggests that VO2 max is very much determined by genetics and the ability to improve VO2 appears to be slightly mixed from the reports I have obtained. The genetic aspect appears to be mostly relevant for the amount of air we can breathe in. Making the heart bigger to pump more blood or building stronger mitochondria in the working muscles – that can be trained. However, a rough gauge to improve one’s VO2 max seems to range between 5-20%. This is very much determined on what fitness level you’re currently at as well as your age, gender and where your live – in terms of altitude – above sea level. This report suggests that your VO2 max will actually decrease up to 30% between the ages of 20 (peak) and 65. 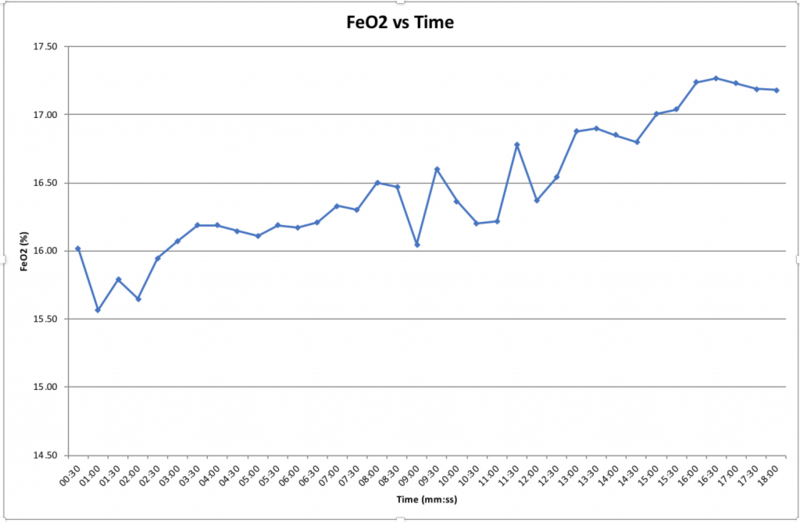 Other reports suggest your peak VO2 max is reached by the age of 25 and it drops roughly 1% every year. To increase your VO2 max you can take the approach of either more volume/zone two training or well-executed intensity training. The VO2 max test is a lab-based test and is considered the ‘gold standard’ for identifying an athletes oxygen carrying capability. It’s a graded step test, where upfront an assumption is made about FTP, which is essentially a determination of the average power output (in watts) you can maintain for an hour. Previously I have done the field-based step test, where you will ride on a smart trainer hooked into software. The software will gradually lift the power until you can no longer pedal. From this test I have done in previous years, and considering my current fitness levels, we made an assumption of a 320 watt FTP. This meant that for my VO2 max test we started the test at 120 watts, with the power output increasing by 20 watts every minute. The idea is to keep going to failure to obtain your max heart rate and maximum oxygen intake. 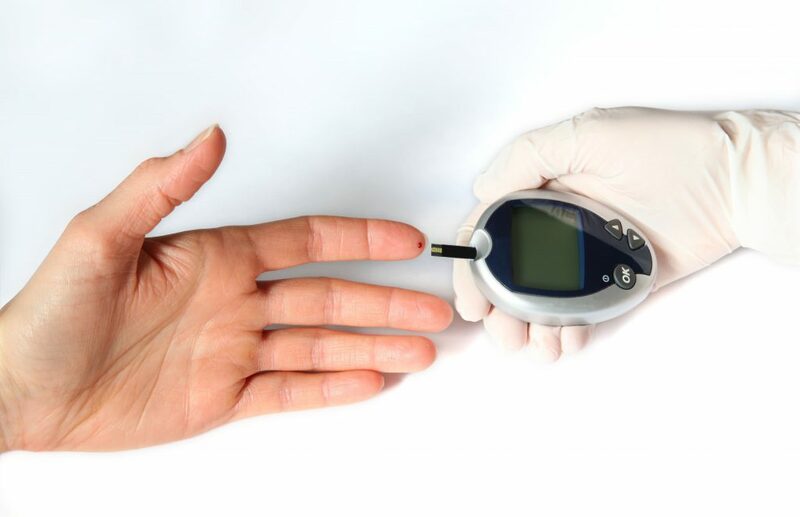 Ideally the test will last 12 miutes, which is long enough for you to get warmed up but not overly long so external factors come into play that could fatigue the body and skew the results. Within the 12 minutes you should be working hard for the final 3-4 minutes until max, so the painful part of the test is relatively short lived. For this test a standard watt bike was used. A separate hardware device called a Fitmate Pro that is controlled by an instructor – Luke in this instance – will set the power output and will also have visibility into all my live data as I’m riding. 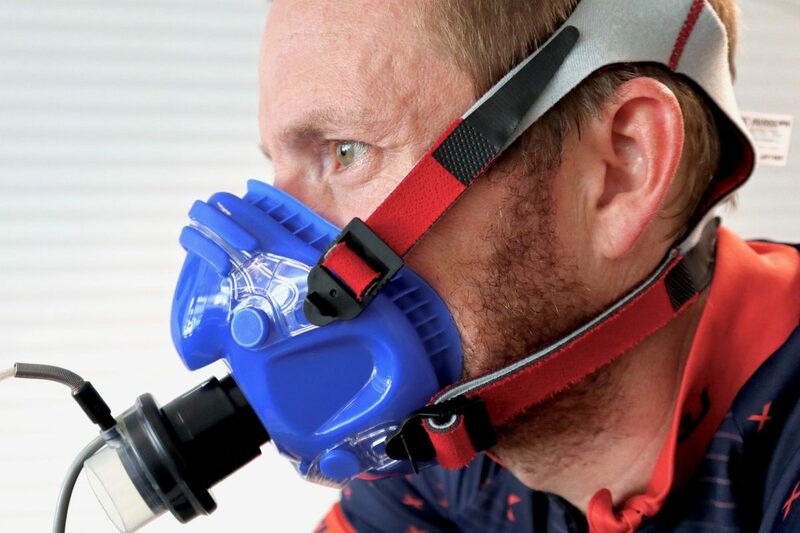 Connected into the Fitmate Pro is a mask and a flow metre which directly analyses oxygen consumption and sends comprehensive physiological data back to the machine. The Fitmare Pro also calculates a number of analytical reports post-test which are used as a mechanism to pinpoint strengths and weakness at a granular physiological level. As part of the data outputs I received from Mets Performance the below information indicates my VO2 max score in comparison to the general population. While the below numbers indicate that anything above 52.5 VO2 max is considered to be ‘superior’, Luke suggests slightly different numbers for the athlete population. For the athlete population, Luke says that over 60 VO2 max is good, 70+ is great and 80 + is top 5%. A screenshot taken from my data output from Mets Performance. In the above green table you can see the ranges of VO2 max for general population. Anything over 52.5 is considered to be ‘superior’ for general population. 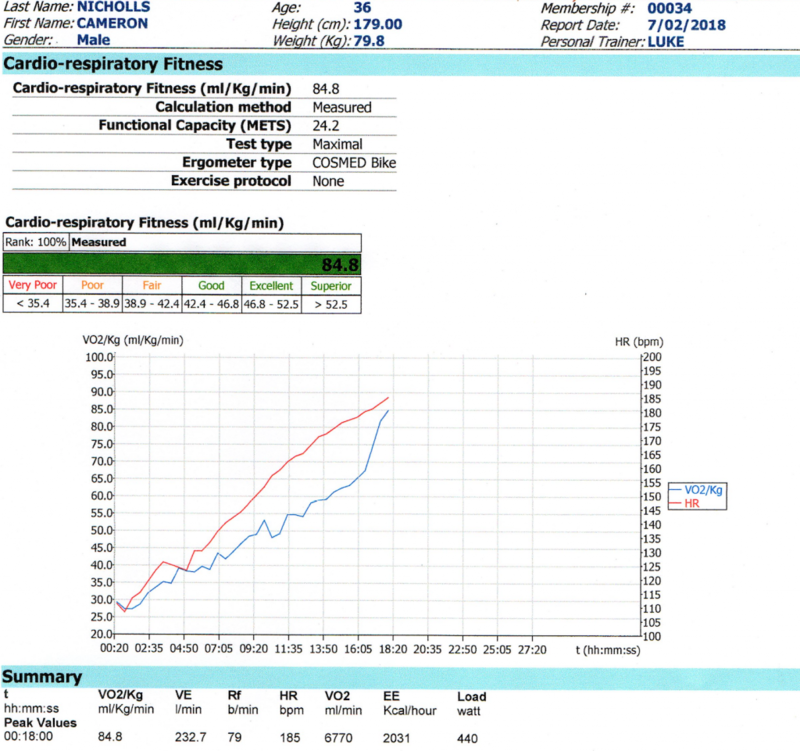 Pro athletes VO2 max; how did I compare? Chris Froome reportedly had a VO2 max of 88.2 at his Tour de France peak. Lance Armstrong (although a drug cheat, like many in that era) had a VO2 max of 84. Five times Spanish winner of the Tour de France Miguel Indurain was 88, and local Aussie Tour de France hero Cadel Evans had a monster VO2 max in the early 90s. While my VO2 max of 84 was in the ‘elite’ category, should I be getting excited? For one, my efficiency in using my complete engine is poor. I am utilising 72% of my VO2 max, where the pros will use close to 95%. Thus, it’s not so much the VO2 max that determines your performance. It’s the ability to sustain high intensity within your aerobic engine. You could have a VO2 max of 90 but if your high-intensity threshold is only 55% of that, you would be a lower preforming athlete than someone with VO2 max of 65 who’s able to sustain 80%. In addition – racing nous, aerodynamics within the body shape, determination, and mental aptitude have a massive impact on an athlete’s ability to take advantage of what might be sitting under the hood. If I’m really to optimise the engine, the final piece of the puzzle is to understand my lactate threshold. What are the exact numbers that will enable me to train most effectively and take my performance to the next level? As stated above, on a personal level my focus should be to optimise the VO2 engine I already have versus trying to build a bigger engine. In order to do that, interval training would be the best prescribed method to help improve my 72% efficiency to 80%+. Examples would be three minutes on an indoor trainer at 400 watts, then recover for five minutes. Repeat three times. Or tackle a 20-minute climb at threshold, and repeat after a full recovery. But that leads to one final consideration. What is the optimal output I should be targeting for these efforts? Is it 400 watts or 420? Maybe it’s 370? Not going hard enough or perhaps going too hard when completing interval training means you’re not being optimal. I don’t know about you, but with limited time to train in the week and targeting only one or two events a year, means I want to make the most of my training. The lactate test is the final piece of the pie that will provide the physiological data I need to tell me exactly what output I should be targeting for internal training. And this could have a massive effect on my performance. Maybe I can finally win that A grade criterium I’ve been banging on about for a while! Would you like to see me back at Mets Performance for a lactate test? Also, check our Mets Performance FREE coaching page here. 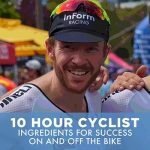 This contains videos, podcasts, and blog posts relating to the science behind endurance training.